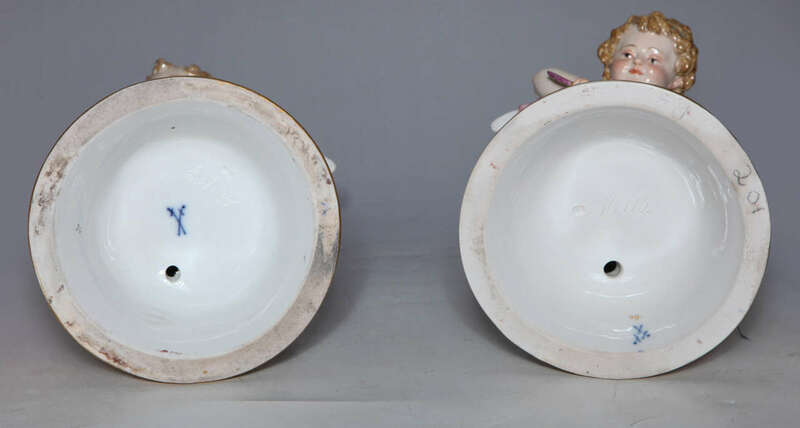 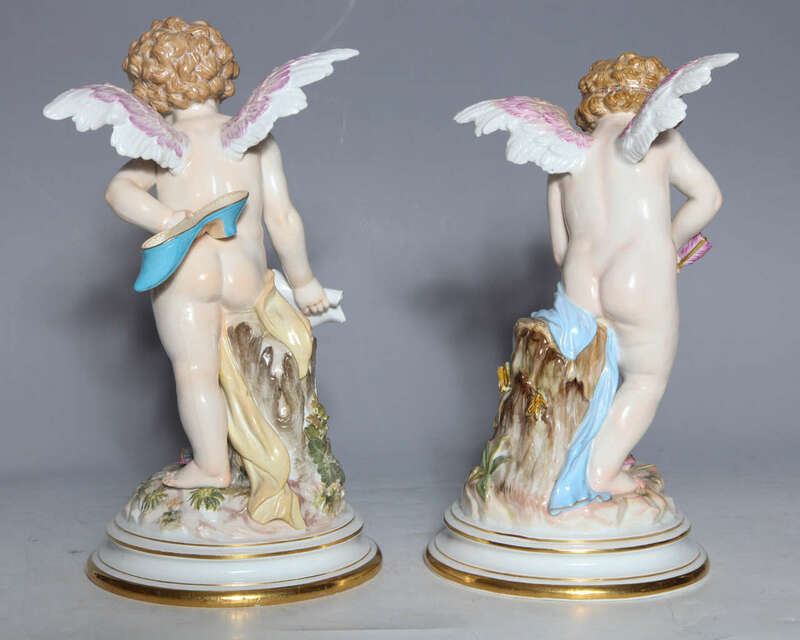 Pair of Meissen Porcelain large Devisenkinder Cupid figurines with superb quality painting and markings from the 1860s. 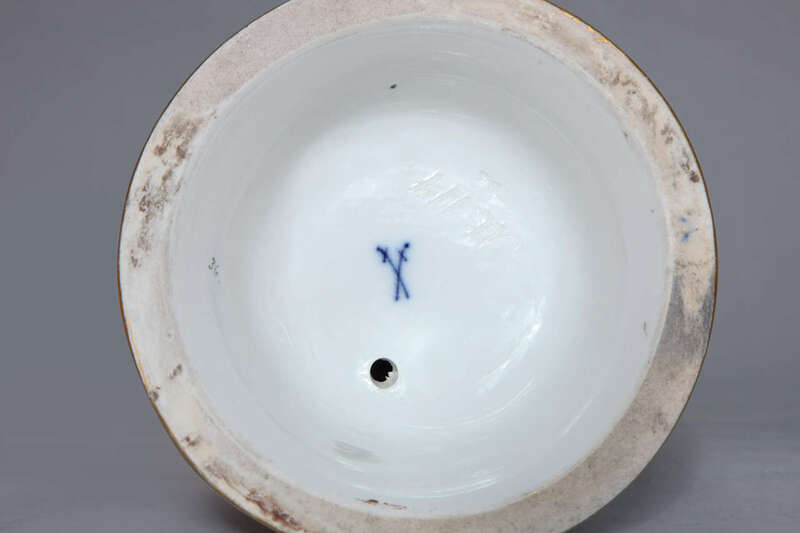 The concept is taken from Otto van Veen’s Emblemes of Love published in Antwerp in 1608 with verses in Latin, English, and Italian. 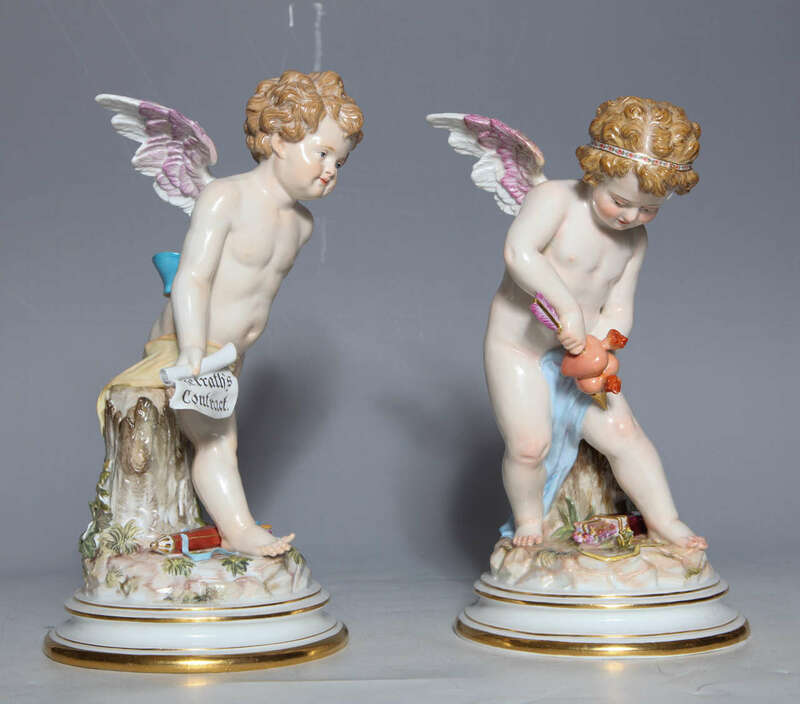 After the models by Heinrich Schwabe, the first is modelled as Cupid forging together two hearts to signify the unification of love. 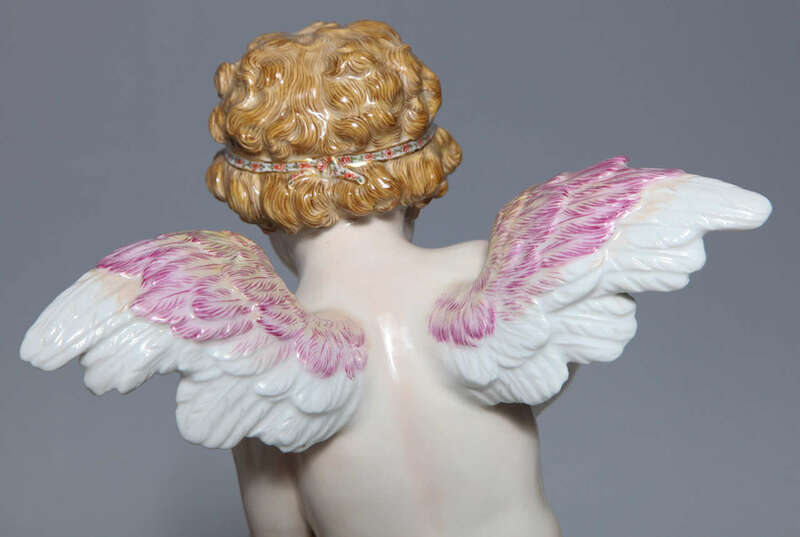 The other cupid is proposing a marriage contract. 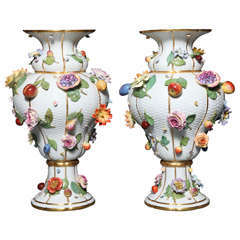 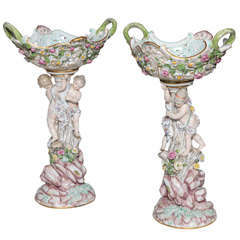 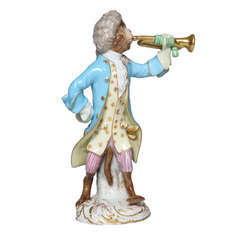 From a large selection of excellent quality Meissen Porcelain. 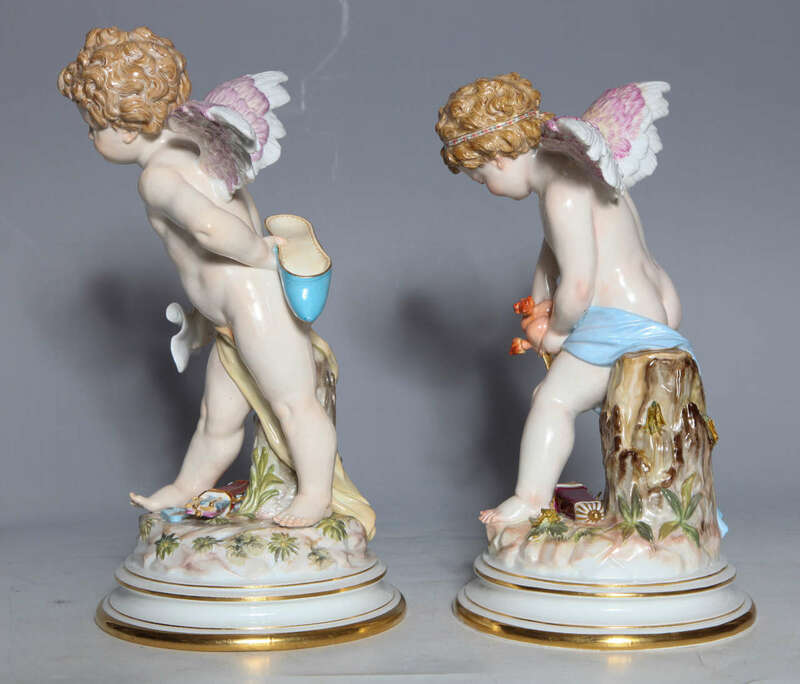 Antique Meissen Porcelain Figurine of Crinoline Lovers Entitled "The Kiss"